Last January, we were in Jabalpur – The city of Marble Rocks, for a relatives wedding. En-cashing this opportunity and deciding to go on a short vacation and enjoy great family time explore the woods. Katni is a small town having superb railway connectivity. As always, We opted for roadtrip, taxis are easily available from Jabalpur to Katni. Its about a 3 hours drive on a not so good road. After reaching Katni and taking refreshments we borrowed a car from a family friend and hit the road again to touch our final destination – Bandhavgarh Tiger Reserve. We are a happy family of four and luckily all travel enthusiasts. The distance between Katni and Reserve is about 50kms but you have to drive through kachha road from Teori to Bandhavgarh. This stretch is about 25 kms and runs through the jungle. As per the locals, the road is not well maintained to avoid over speeding of the vehicles which might harm wild animals. 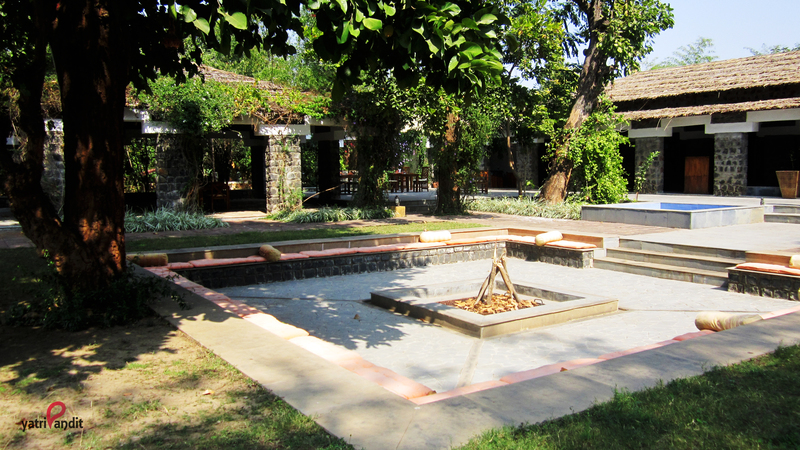 Where to stay: After this bumpy ride, it was a delight to reach our pre booked resort – The Bandhav Vilas (www.bandhavvilas.com). It is a beautiful resort just at the brim of the jungle. We were welcomed with a fresh lime juice and a warm towel (to wipe of the fatigue). 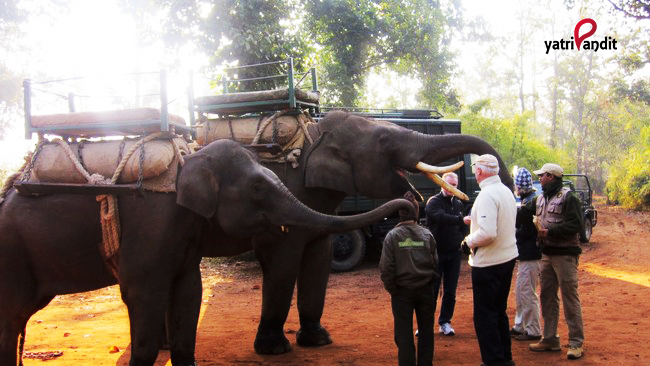 Mr Vijay Parwar, our resort manager was extremely friendly and had a lot of Jungle tales to narrate. They serve amazing veg and non veg food freshly cooked using organic vegetables procured from the near by villages. The resort too has a small farm. Its endorses a small library which is full of various books on flora and fauna. The resort has a swimming pool and spa to relax and de-stress. We also experienced digital detoxification as there was not much mobile network coverage. Jungle Safari: After a calm night and sound sleep, we geared up for the early morning safari. the resort served tea and snacks even before the dawn @ 4.30 am. The 4X4 wheel drive Maruti Gypsy with a driver and a guide was waiting outside the resort. The temperature was 4 degree Celsius and the surrounding had a blanket of fog. We were all set to witness the “King of the Jungle”. As we started off with our journey we could see the varied flora and fauna. Got to see many peacocks, bison, monkeys, enormous colourful birds and countless dears. But you have to be fateful to witness the King. 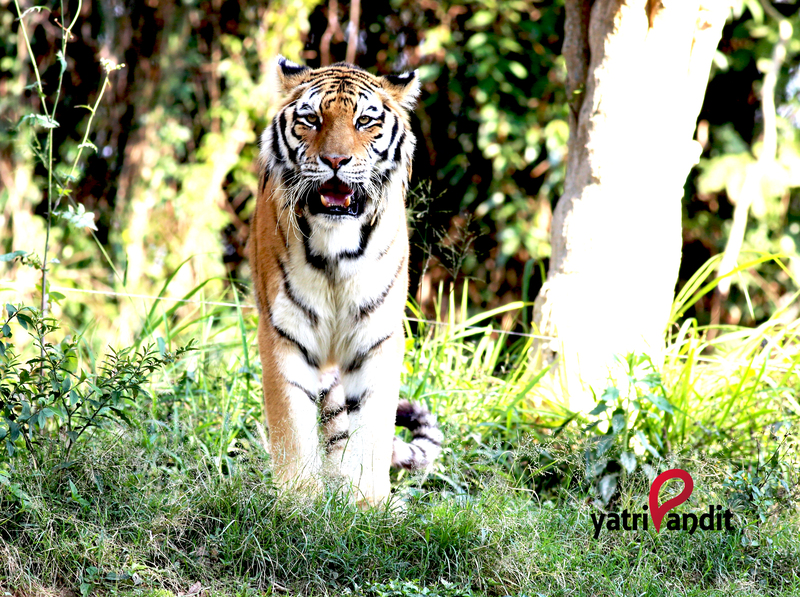 We wandered across the park in search of the tiger but our dormant fate took a steep turn on our way back to the entrance of the reserve. Oh my God, Screamed my brother – there he is – the giant cat – so elegant as if he wanted to say, ” Keep calm and bow down to the king” We held our nerves when he crossed the pathway to get lost in the wild. It was the scariest yet the most elegant moment of our lives. We reached back to the resort after the dusk. The sky turned orange to impart us a perfect evening before the infinite stars took charge. Before the sleep: After enjoying the delicious finger licking dinner we decided to sit around the fire place and beat the chills. Trust me we had one of the best conversations that night, sipping coffee and popping popcorn, before we dozed off sinking between the soft mattress and warm blankets. PS: Please click on the ads which appear on the website and help us earn some money to travel. This blog is still very young and growing. If you like the story, do not shy away from reciprocating your love in form of likes comments and sharing on social media. Good narration .. It is helpful for planning . Thanks alot Puneet.. keep reading. Let us know if u want to plan any trip.. This time you nailed it bro…Good narration.. Very good post.. It felt like I am there with you guys :p Hope to travel there soon. Thanks alot Simant.. the best time to visit is winters.. let us know if u need any help in planning .. I like your posts. Very well written and to the point. Thanks alot Neha.. even I have read Ur story on Bandhavgarh and it’s brilliant.. BDW where do u plan to visit next ?? Beautifully narrate, surely it will help to explore. I would appreciate if you can help me to plan a trip, how I can reach there from New Delhi and nearby attractions.